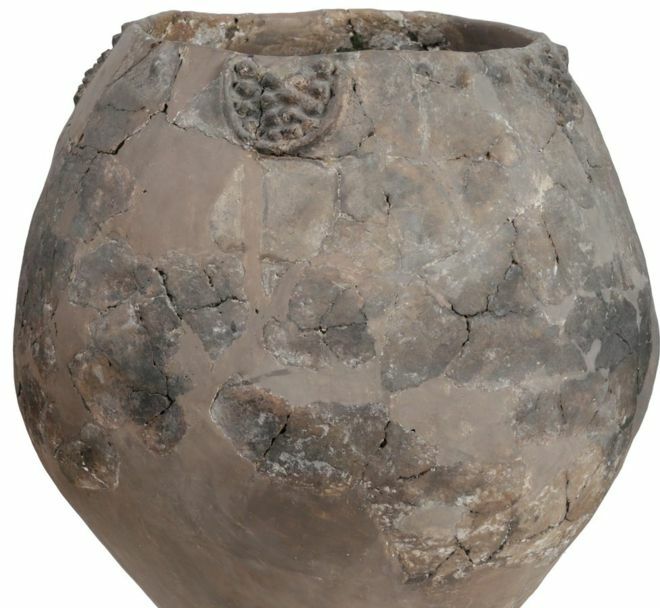 The earthenware jars containing residual wine compounds were found in two sites south of the Georgian capital, Tbilisi, researchers said…. … Previously, the earliest evidence of grape wine-making had been found in the Zagros Mountains of Iran and dated to 5,400-5,000 BC. In 2011, a wine press and fermentation jars from about 6,000 years ago were found in a cave in Armenia. The world’s earliest non-grape based wine is believe to be a fermented alcoholic beverage of rice, honey and fruit found in China and dating to about 7,000 BC.